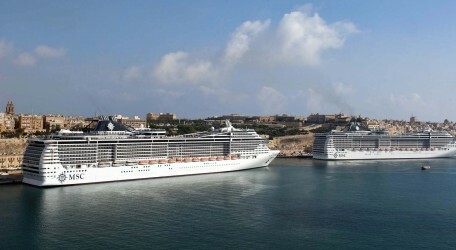 The Grand Harbour was graced by the presence of MSC DIVINA and MSC SPLENDIDA, the two twin FANTASTIA class cruise liners owned by MSC Cruises These cruise liners brought into Malta over 8000 passengers. currently cruising along the Mediterranean, who had the opportunity to savour Malta’s historical and cultural attractions during their 10 hour stay at the Grand Harbour. MSC DIVINA was christened last Saturday at the port of Marseilles by legend Sophia Loren. This cruise liner was named in honour of her godmother by MSC President Gianluigi Aponte: ‘One evenng I was talking to Gianluigi about my wishes and desires,’ said Loren. ‘I mentioned my own dream of having a ship named after me and he suggested ‘Dvina’ as a divine experience give you memories that will last forever’. And so the name was born. Captain Giuliano Bossi said in Marseilles that MSC Divina herself represents the embodiment of Mediterranean style. ‘I am proud that the most beautiful ship will enter Malta’s harbour which he described as ‘the most beautiful port in the world’. Captain Bossi thanked Mr. Norman Hamilton of HAMILTON TRAVEL (Malta) for his continuous efforts to promote Malta as the ideal hub for crusing in the Mediterrean and beyond. ‘MSC Cruises and Malta are proud of you’, Bossi told Hamilton in Marseilles moments before the christening of MSC Cruises’ latest jewel. MSC DIVINA later sailed to Venice where it sail in the East Mediterranean for the rest of the season. MSC SPLENDIDA sails around the Western Mediterranean and calls regularly at Malta on Wednesdays. 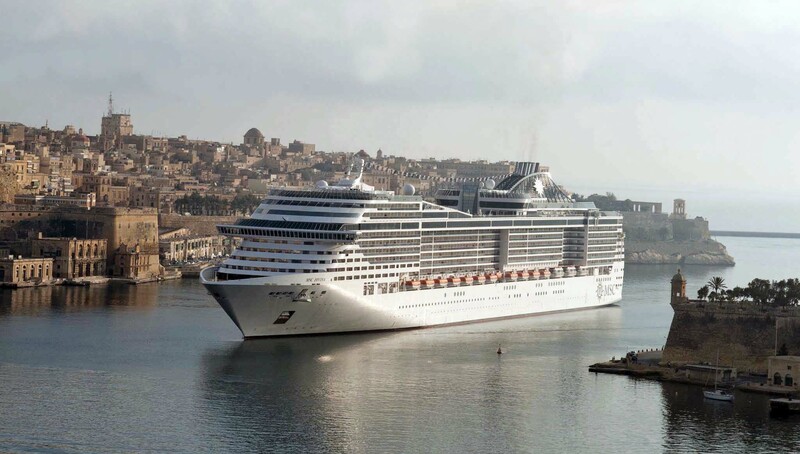 HAMILTON TRAVEL (Malta) are exclusive agents in Malta for MSC Cruises.